If this is your very first time purchasing a house that you can call a home and you haven’t got any slightest idea on how to go about it, where to initially begin, or basically just what to do, you have come to the right page. Whether you have already decided or still planning to purchase a house, it is still highly recommended and crucial for you to know or at least have an idea about home purchase agreements. For your own comfort and convenience, you can always check out and refer to our Sample Agreements for free, which is just located right on this page. 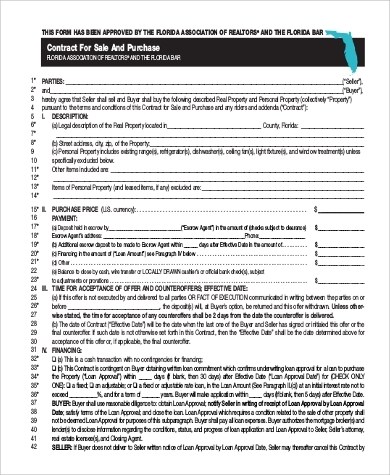 Since this is most likely your first time having real estate transactions, you might find these real estate contract types in a list useful and helpful as a reference. 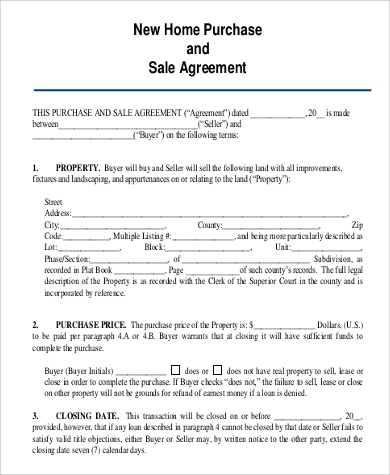 Aside from that, you can also check out this page’s Asset Purchase Agreement Samples and Power Purchase Agreement Samples for free to help you gain much more information in terms of real estate contracts and agreements. 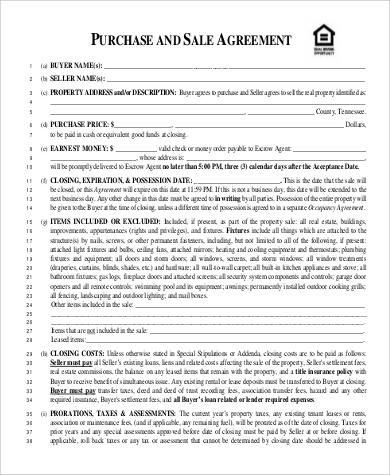 Residential Purchase Contracts – this is probably the most used and most common type of real estate contract when you are buying your home property for the first time. The residential purchase contract is an agreement between both the buyer and the seller of the purchase land or house property. It is also recommended that before signing the residential purchase contract, have a real estate inspector over and inspect the house property if there are any repairs needed or damages or any other issues. According to Financial Web, it also indicates the complete real estate transaction with highly crucial and necessary details such as the price and its closing date. The price of the house property will also be affected if there are any damages or any other issues found with the property. 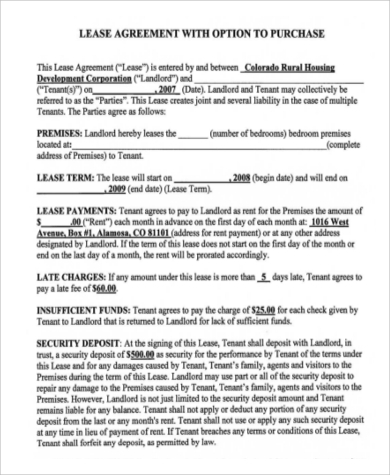 Lease Agreements – this type of real estate contract is when you would decide to rent or lease your house or property for an additional source of income. Basically, the lease agreement between landowners and tenants would specify the important matters such as the exact amount for the rent money, security deposit or down payment, house repairs or maintenance, and the like. 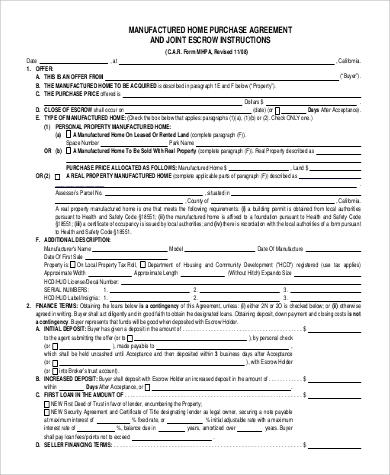 You can find Sample Lease Purchase Agreements on this page to assist you and give you much more insight with regards to this type of home purchase agreement. 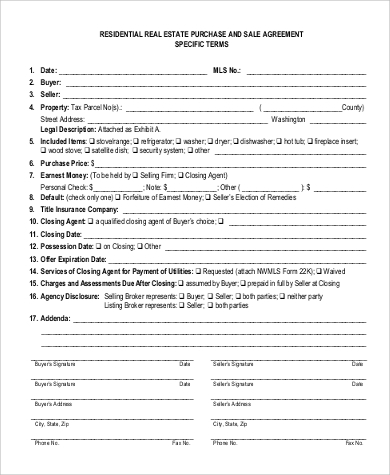 Power of Attorney – this type of real estate contract would allow someone, usually a trustee (for example: spouses, lawyers, family, or a relative), to act or to sign agreements on your behalf in case of emergencies or when you are unable to sign your real estate contracts and agreements. 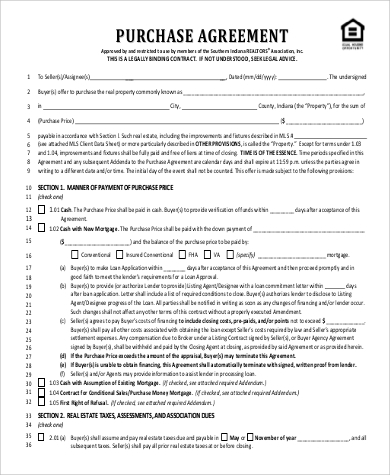 Contract for Deed – in this type of home purchase agreement, both the buyer and the property seller agrees to the mortgage ideology or terms. The property seller here functions as the lender of the real estate property in which the property buyer would pay the property lender either on a monthly, quarterly, or on an annual terms depending on what was agreed upon. It is just like how mortgage payments are done in the bank. The deal or transaction is finalized only when the payment is paid in full. The deed will also not be transferred until the transaction is completely finished.